7th May. By admin. Posted in 365 Things. I used to freelance as a cameraman for Ziff Davis/eWeek, probably in the early 2000’s. My friend Chris worked there and brought me on. The work was easy, the money was great and on occasion the entire crew would go out for a dinner where I’d take advantage of my employer and order way too much scotch and high-priced entrees. But at that time the tech boom was still happening and money was flowing like water so nobody seemed to mind and we were all enjoying the benefits of zeroes and ones. 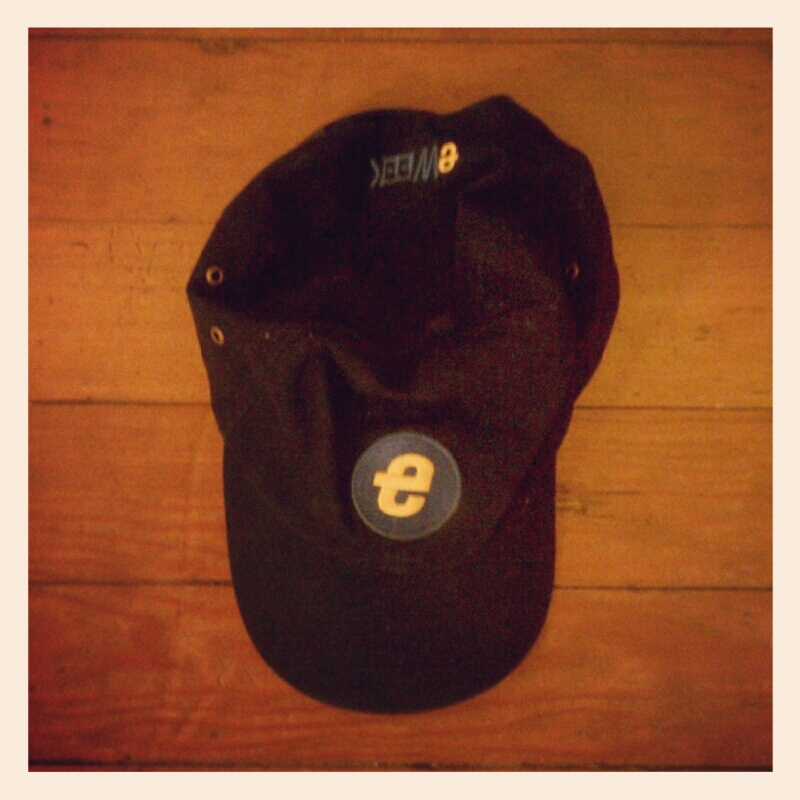 After Chris was let go and the gravy train ended I had this hat as a consolation prize. 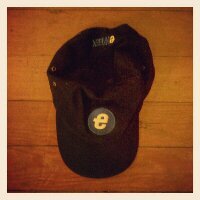 I wore it sometimes as a lark because around this time I had started experimenting with Ecstasy and thought it was cool to wear a hat with the letter E. There was definitely an eWeek or two back then. So lame. I found this in a box at my parent’s house. In the basement. I feel lighter already.